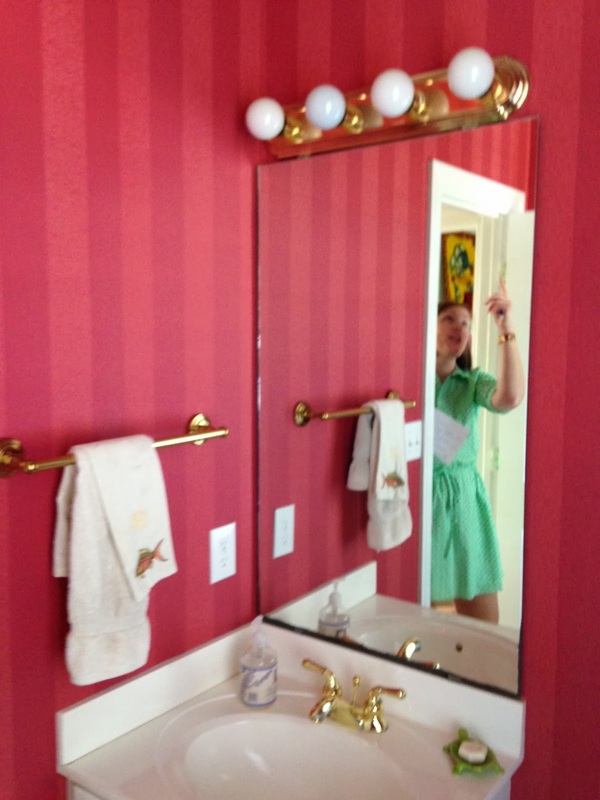 I love an unexpected powder room. 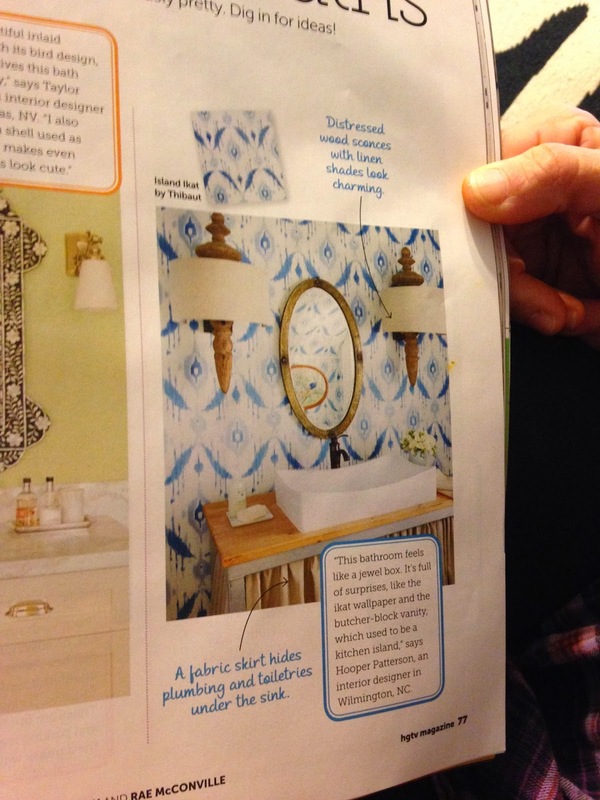 You may have seen this powder room in the March issue of HGTV magazine. YES!!! That is one that Ann and I did for a client in the mountains. Nothing prepares you for this while flipping through a mag in the Walmart aisle when you unexpectedly come across your work. Nothing. Because it is such a small space and mostly used by guests, it is always fun when the client is willing to take risks. 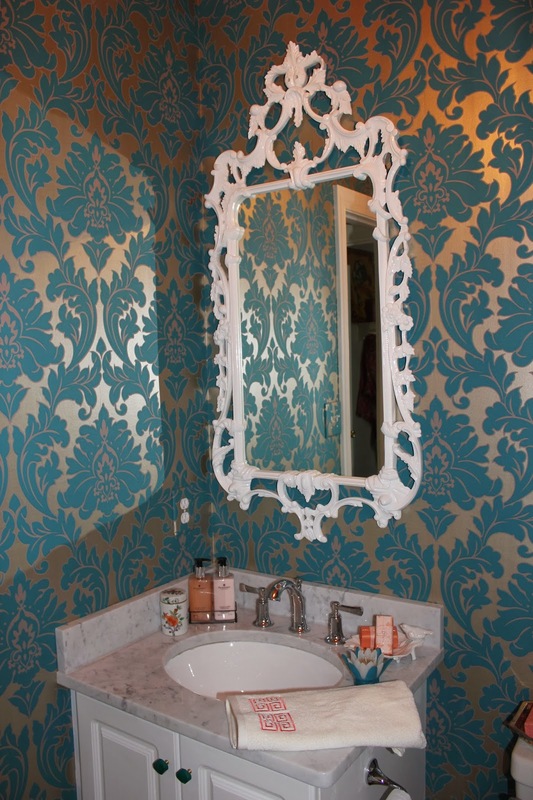 Wallpaper is my favorite way to liven up a bathroom. Unless you can get Ann to do something like this... 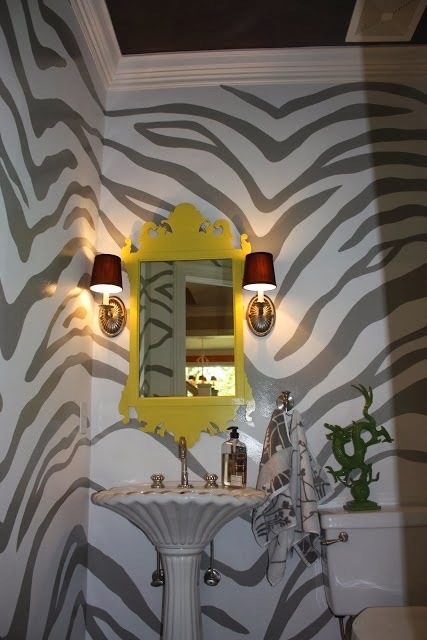 Remember this powder room from one of our most daring clients? 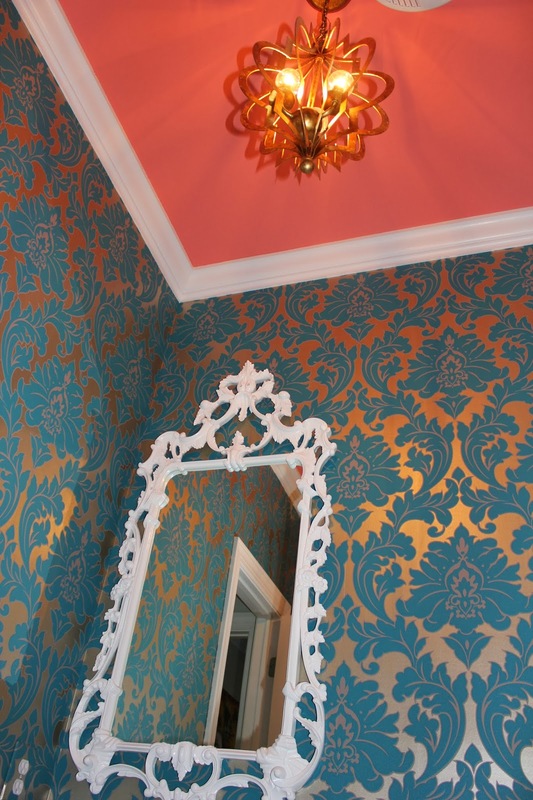 I love how the metallic damask paper turned out and go glad she went for the coral ceiling. 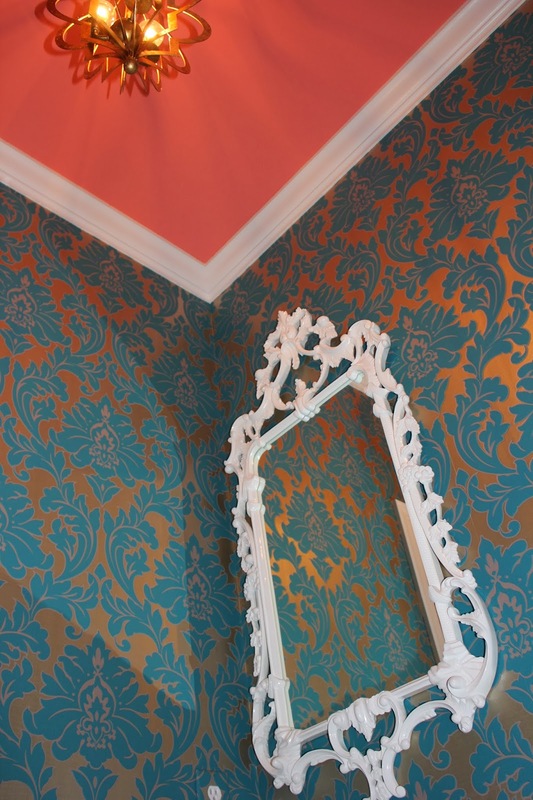 A lacquered mirror from The Coop mimics the lines of the wallpaper. 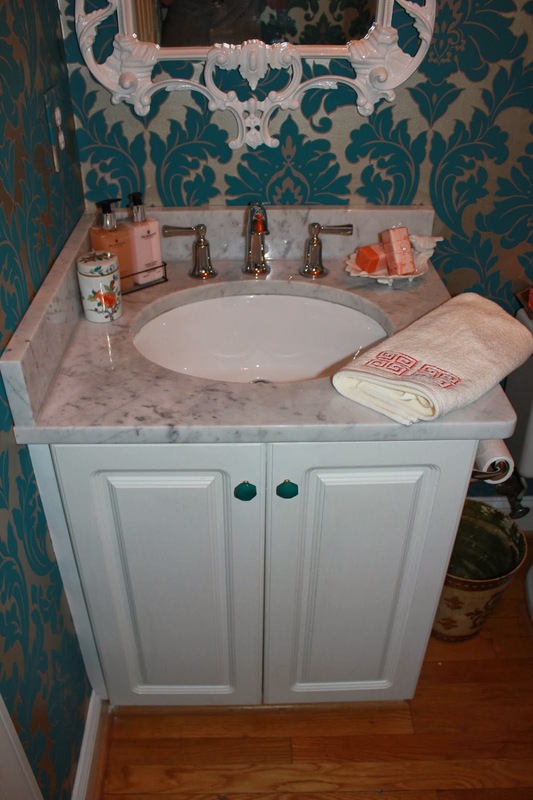 Changing the faux marble top to real marble and swapping out the brass fixtures for an updated look was a less expensive fix than ripping out the vanity and it looks brand new! We changed out the knobs for some turquoise "jewelry" from Anthropologie. I'm loving the chandelier -- and the round bulbs -- it's all in the details. The living room and dining room are almost finished. If you think this is fun.... stay tuned!